Congratulations to our legendary team for being selected as 1 of the top 4 West Coast teams for the special industry spotlight in Motion Magazine Issue #4 called "Glitz & Glamour," pgs. 032-039. 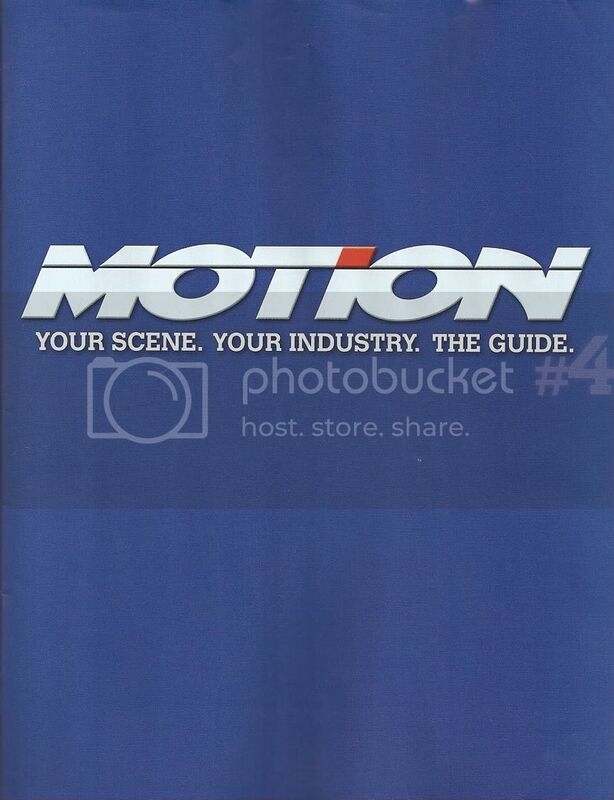 Motion wrote, "The show scene is more than just a visual stimuli-it brings the possibility of long term clients, versus one-time customer...Not only are these guys the core enthusiasts of the industry, they are the trend setters...To give you the 411, we've rounded up four of the major West Coast teams to help familiarize the uninitiated into the glitzy world of the car show. Time to stock up and cash in." More background on the 4 teams. Team Hybrid was chosen to represent the O.G. of all the current import teams since we have been around for almost 15 years and still one of the finest and best out there. ACE was chosen to represent the industry/shop team. AF was chosen to represent the current trend of VIP styling. Rare JDM was chosen to represent the new team on the block in our scene today. A nice melting pot of West Coast teams to give their aspect of the show scene. Again, what an honor to be chosen by Pro-Motion/SpoCom/Motion Magazine and again, shows the industry luv & respect Team Hybrid has earned & achieved aside from the rest out there. The editing of the article and orange font was also very special since Team Hybrid was placed first before all the others. 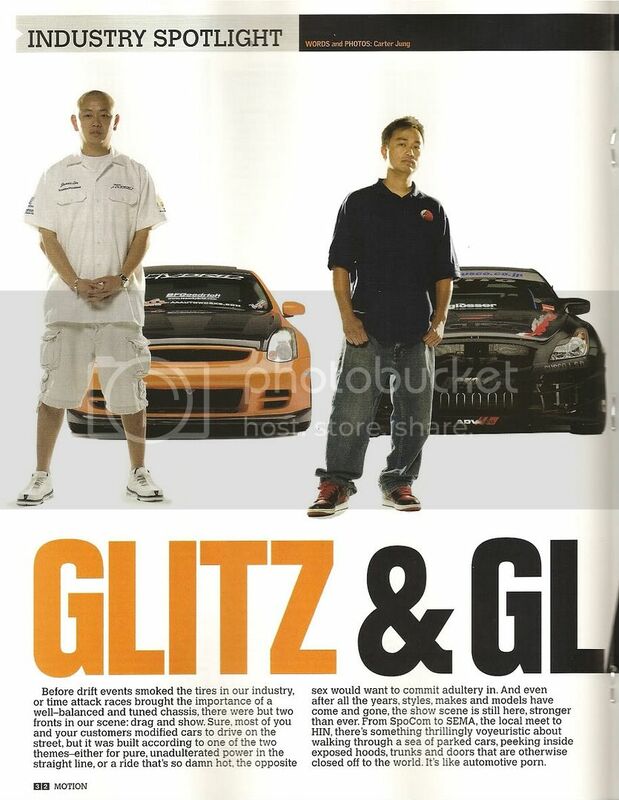 Much luv & respect again to Mike M. and Carter J.
Lastly, special luv & congratulations to Alvin's Lambo-Orange Infinite G35 for being selected for the article as well as to Co-Leader, Em Suvanamas for assisting me in writing & editing the article. This part of the article called, "Show Scrapbook" is very special because all 4 teams provided pictures to the editor in chief of this project and at the end of the day, since Team Hybrid has an almost 15 year show history, about 75% of the pictures chosen to be used are Hybrid cars/Hybrid display/Hybrid Hunnyz of the past & present. This is not even the tip of the ice burg of all the things Team Hybrid has built/innovated/accomplished esp. "first." But the pictures you see have been some of the most trend setting and/or top of its class which also earned our team the bragging rights of accomplishing many of the Team awards/innovation of our show display/discovering many of the most well known import models "first" before any of the past or present import teams.